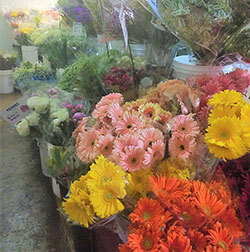 True wholesale prices to the public, the same as florists pay. 2.Call in and order for pick-up or delivery 3.Ship to most of the U.S.
Design at home, ask for warehouse space, or hire one of our designers! 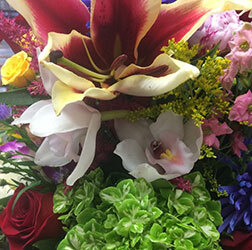 Great value, lots of flowers in our designs at good prices. Extremely knowledgeable and educated staff, most employees have been with us for over 10 years. Family owned and operated since 1951. We guarantee delivery and freshness. Deliveries to most of L.A. and Orange counties and parts of Ventura, San Bernardino, Riverside, and San Diego Counties.